Ann Dunham, who was born on November 29, 1942 at Wichita, Kansas, USA, is the mother of one of the President of the United States, namely Barack Obama. She is the daughter of a mother named Madelyn who is also the vice president of a local bank first female and father named Stanley Dunham who is a veteran soldier and merchant furnishings. At birth he was named Stanley Ann Dunham because the father had wanted the birth of a son. When taking a language class at the University of Hawaii, Ann Dunham met with Barack H. Obama, Sr. and married on August 4, 1961. The couple was awarded a boy named Barack Obama, Jr. Then Ann Dunham resigned from the University of Hawaii after a semester to take care of his new family. In 1964, Ann Dunham decided to divorce from her husband Barack Obama, Sr. after learning about the life of her husband in the economic revitalization of Kenya. With the help of family and government of Hawaii, he managed to take custody of the child, Barack Obama, Jr.
Then he continued his education at the University of Hawaii delayed addition to caring for the child. It was then that Ann Dunham had a romantic relationship with one of the students from Indonesia named Lolo Soetoro. In 1967, Lolo Soetoro apply Ann Dunham, and after the wedding Ann Dunham rename he became Ann Soetoro. They then moved to Indonesia and settled near the city of Jakarta. In 1970 Ann Soetoro was awarded a daughter and named Maya Soetoro. When her son had stepped on the age of 10 years, Ann Dunham sent Obama to Hawaii to study and stay in place grandparents. A year later, Ann Dunham and her daughter, Maya, come back to Hawaii. There Dunham again focused on education by taking the Indonesian anthropological studies at the University of Hawaii. 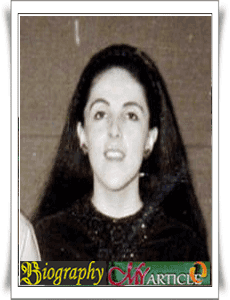 1980 is the year in which Ann Dunham filed for divorce to the husband, Lolo Soetoro. After graduating, he returned to Indonesia and worked at the Ford Foundation but the Obama who has 14-year-old did not want to come back to Indonesia. In 1988 to 1992, he helped Indonesia to provide micro-credit program in which small businesses can take out a small loan, and make Indonesia the world leader in micro-credit. For several years, Ann and her daughter, Maya, moved to several countries, from Pakistan to New York, and returned to Hawaii. In 1992, Ann Dunham managed to take a doctoral degree. In 1994, Ann complained about pain in his stomach at a dinner party in Jakarta. A few months later he was diagnosed with cancer of the ovary and uterus. Finally he died on 7 November 1995 at the age of 52 years.